Wooden Photo Frame for Kids. We Deal In Bulk Order Only. Traditional Indian Handicrafts come from one of the oldest civilizations of the world. India is the home of a remarkable Variety of Traditional Crafts. Traditional Indian Handicrafts carry with them Centuries of Skill that has woven magic into the Motifs and Designs used. We offer our clients with superior quality Nickel Plated Photo Frames. These are suitable for all kinds of exteriors and interiors because of their excellent designs and high durability. These decorative pieces of artistry will give a magnificent look to all kinds of settings. - The item comes with an attractive fancy gift box. 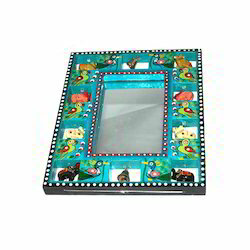 We are manufacturers and exporters of wooden photo frames. Capture the spirit of the moment with these beautifully tactile wood photo frames, promising a lot of natural beauty to the photographs. We export raisin, horn, bone, shell, shisham wood, board photo frames. We can develop more designs in various materials as per client’s specifications. We offer an elegantly crafted Photo Frames for our clients that are highly demanded in the market due to their splendid designs, patterns, shapes and styles. These are crafted with high degree of creativity for cherishing memories and adding a sense of beauty to the premises. The salient features of these frames include smooth edges, accurate dimensions, excellent finish and durability. For protecting the memories and keeping them in a nutshell we have brought an extensive range of Photo Frames. These are beautifully designed not only enhances the beauty of the photograph, but it also provide aesthetic appearance to the frame. 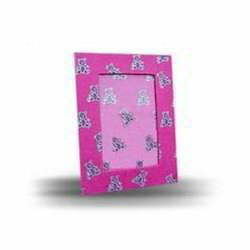 We are the leading manufacture and supplier of Coloured Photo Frames and These frames are designed by our engineers with the use of basic materials and machines. These offered frames are stylish and very trendy. These offered frames are authentic and look perfect. They are cost effective in rates.